Dishes with rice, potatoes or noodles do not have to be monotonous, dry and sterile – just spend a small amount of time to prepare a tasty and healthy sauce. In addition to enriching the taste of the meal, we can provide valuable nutrients. Provided, of course, that we do not use the ready-made in a jar or powder, we do not use a broth or white flour cube. Cook a few peeled mushrooms – you can put them in boiling water for a few minutes or use a steam cooking device. Then blend them with the addition of 2-3 tablespoons of natural yoghurt, dill – optionally also with 1 clove of garlic and a teaspoon of butter. 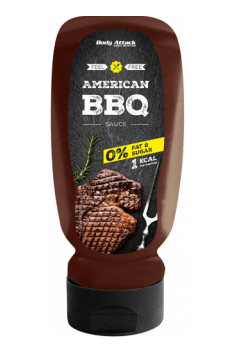 Seasonings to taste with pepper and salt, stir and in this simple way you have received a sauce that will be a perfect addition to meat – both hot and cold. Very simple to prepare, tasty and suitable for pasta dishes, potatoes and rice. It is enough to pour chopped and peeled tomatoes from a can or cardboard box into a small pot, add 1-2 teaspoons of tomato concentrate, finely chopped onion and spices such as basil, hot pepper, sweet pepper, pepper, salt, lovage. You can also relieve the taste by adding 1-2 tablespoons of natural yoghurt. The whole should be boiled, stirring occasionally. In the version for very busy people, you can simplify the preparation by inserting the above-mentioned ingredients in a bowl and then place for about 5 minutes in the microwave. A perfect complement to the tomato sauce can be mozzarella slices or freshly grated parmesan cheese.